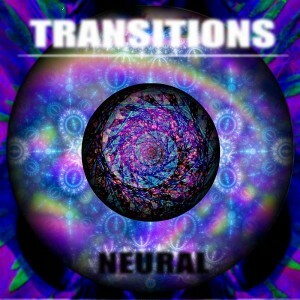 After releasing tracks on regional and international compilations Neural, a dark psytrance producer from Argentina, is ready to make his solo debut with Transitions on Fractal Audio Machinery Records, Germany. If we can’t truly understand what is light and its power if we haven’t experienced darkness and vice versa then it is in the transitions that we often learn the most. This release has been conceived as a kind of sonic movie, a psychedelic story that only makes sense when listened in order and to completion. Remember, the whole is greater than the sum of the individuals! Have a good trip. Mastered by Antagon. MP3 Download | FLAC Download | WAV Download · Download count: 4,855. Hi there psyconaut. What you will see and hear in this album, is the beauty of the universe from my point of view, nothing more. At one point in my life, I realized you can’t really posses or create any kind of beauty, you just can represent it. It belongs to the universe, it is in the air, and inside of us in every form. I choose sound to represent it, and want to share it with you. This is also my personal contribution to the global psytrance scene; some people cook on festivals, some people make malabares, some people enlight the dancefloor just with their dance, well.. I make music. IMPORTANT: This was originally the “audiophile version” of the album, a special mastering focusing more in depth of sounds and overall expression. Psychoacustically speaking, it may sound lower than others releases at first, but realize that you can give it more volume without sounding bad, so do it until you are comfortable with it, and then everything will be more expressive and “3D”. Enjoy! Much respect for this release. Very tricky production work. Very clean, Very evolving. I’ve said it before and I’ll say it again: There must be something in the water in that part of the world. Some of the best Darkpsy, Forest, and Psycore I’ve ever heard comes from Argentina; and this EP is right up there with the best. I hope he creates more music like this. Definitely beautiful, very psychedelic, and, as others have mentioned, excellent production. A truly great gift! Best darkpsy I’ve heard in quite a long time! “Evan”, it’s true. Antagon generously gave me two mastering versions, and I chose the more artistic and less commercial (which has way more dynamics and different EQ at my request, technically speaking). I’ll keep the other version for my gigs anyway because it also sounds great (thanks Antagon!). Thank you everybody else for the kind words :). You really give me strength to continue with this project and keep doing more and better music. I appreciate them a lot, stay tuned! if you want to take a closer look on the work of our label, please check and follow us on Facebook. Homepage will be up soon, too.